Different conceptions of property attempt to answer the question, “what ought to belong to whom?” A property right is a relationship between a person, another person (or party), and a thing (or things). Assuming an empathetic framework where we value the biopsychosocial wellbeing of all, what forms of property relations should we value as legitimate? And what forms of property should be considered illegitimate? The question isn’t, “should we have boundaries?” but, “what forms of boundaries should we have?” Property relations should not be based on what one can “secure and protect,” if one’s goal is the wellbeing of all. One should advocate property relations based on use and needs, if one’s goal is maximizing wellbeing of all—if it is true that free association is a component essential to our wellbeing. Personal Property is Personal ownership over Items intended for personal use. This includes one’s house. Landlordism allows for someone to own the house another person uses and extract money from the tenant. Since relevant shelter is a human need, this turns life into something that needs to be earned, making humans for rent in the workforce. Given that we can automate construction of houses, there is no meaningful argument as to why houses can’t be free for all. The only argument against unconditional free relevant houses for all comes from an authoritarian individualist viewpoint that giving people stuff is bad, often for reasons of motivation. They say this after they have been given their language by their environment, given their technology by their environment, etc. When it comes to human motivation the only jobs that thrive off of economic rewards/punishments are mechanical labor jobs that people don’t enjoy. And the vast majority of such jobs can be automated. Our abilities to do creative jobs are harmed by economic reward/punishment systems. Given the current technical ability to automate the vast majority of unenjoyable labor, and the evidence behind human motivation under the influence of economic reward/punishment models, motivation would not be effected negatively if we automated mechanical labor in accord with the needs and preferences of communities and individuals and gave them all the means of existence without a pricetag. Personal property does not include one’s right to conspicuously consume at the expense of others and the environment. 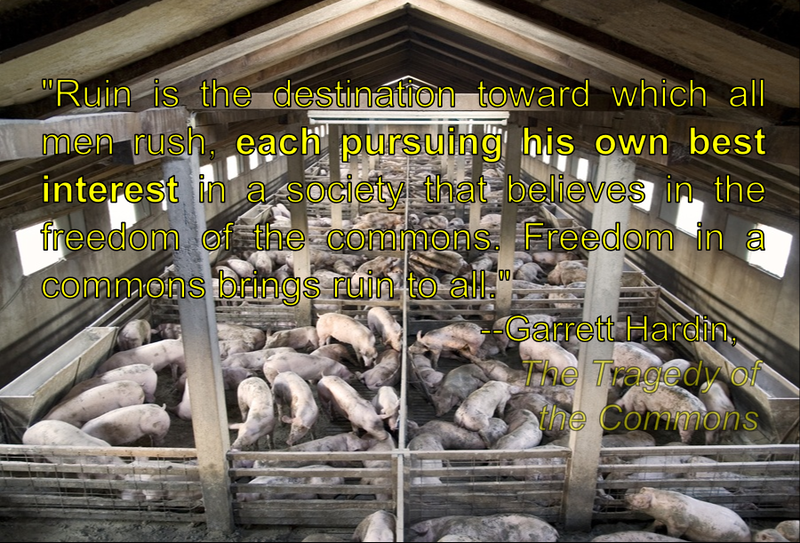 Your right to hoard ends at the point where other people are being harmed. There are grey areas, and better and worse ways to resolve them, but if we focus on resolving the clear cases where harm to others is taking place due to hoarding, we wouldn’t need to focus as much on the grey areas: the issue of people being harmed from absolute deprivation of resources would be solved through an access abundance of resources through the common resource pool. 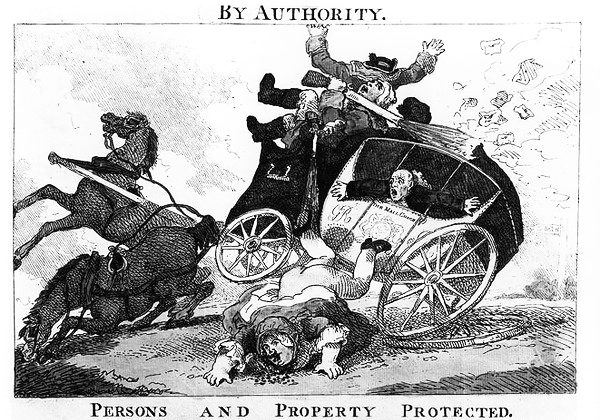 Anti-authoritarian collective property refers to the collective ownership of items intended for use by a collective (such as a worker owned co-op). Anti-authoritarian collective property is a way of collectively managing that which is used by a collective in a non-authoritarian way. An authority can be a teacher, a parent, an or an expert in a given field, whereas authoritarianism refers to a relationship where decision making power is controlled by those on the top of the social ladder, and decisions within the association made by the bottom of the social ladder can be vetoed by those at the top—there are different degrees of authoritarianism. Anti-authoritarian collective property is an essential transition mechanism to an automated economy. And after an automated economy is established, collectives will want to manage that which they use whether the collective is in the form of a commune or an art project. Collectives remain non authoritarian by practicing participatory democracy. Participatory democracy can often (and should often) take the format of majority preference, although organic consensus through participatory democracy has its place. Majority preference allows for freedom of and from associations. Majority preference is not authoritarian, for everyone retains self-management within the association and is free to leave the association at any time. Majority preference is like 2 out of 3 people choosing to do an activity, and should not confused with 2 out of 3 people forcing the 1 person to do an activity. Anti-authoritarian collective management, if consistent, would not only be non-authoritarian in regards to internal affairs, but external affairs as well. In other words, if anti-authoritarian principles are applied consistently, then the collectives would not be at the expense of the community. Define clear boundaries: There need to be rules for how we relate to each other, and by extension how we relate to things. One of the rules ought to be no rulers—which doesn’t mean no authorities. Given the goal of meeting biopsychosocialeco needs, no one would have the right to inhibit decision-making power of those who aren’t harming anyone. There needs to be boundaries within the community, to ensure that individuals have decision-making power proportionate to how decisions affect them, and in regards to resources and how they are accessed to ensure sustainability. A simplification of resource rules can be a certain degree of technical efficiency checked and balanced by a certain degree of resource efficiency aimed at meeting needs and preferences through decentralized planning. This would need to take into consideration everything from technology, resources, recyclability, durability, energy availability, etc. Match rules for managing common goods to local needs and conditions: In the same way animals adapt to their environments, our associations will need to adapt to our environments. This means taking into consideration the varied preferences of those within the associations, as well as using different technology to create access abundance in different places. For example, at one time and location, an emphasis on solar panels may be the optimum way to meet energy and resource needs, and in another area, an emphasis on geothermal might make more sense. Ensure those affected by the rules can participate in modifying those rules. Creating rules to meet needs is a process that will need to constantly adapt to new conditions. This means it is essential that rules evolve to achieve the end goal of biopsychosocial wellbeing as resources, technology, preferences, and the environment change. And because of that, it is essential that people affected by the rules have the ability to help in the process of making better rules. Adapting current technology to a non-authoritarian society is a process that will require new rules in regards to what we should and shouldn’t do as time goes on. This must be done in a cautious way to make sure such an adaptation is not co-opted by authoritarians or rules that lead to authoritarianism. In order to ensure that those being affected by rules can participate in the modification of rules, there needs to be decentralized planning within free associations. Develop a system carried out by community members for monitoring resources and looking out for each other. We need to protect ourselves from those harming others and look out for each other. This does not mean we need some authoritarian institution like the police. We need environmental monitoring to find out the availability of resources in order to manage finite resources in a way that creates relative abundance. Most of the resource monitoring can be automated. Use graduated sanctions for rule violators based on restraint rather than punishment. Punishment is revenge-based. Punishment allows for one to restrain someone from harming others, and then proceed to harm the person who has been restrained. Punishment aggravates abuse/unmet needs in the long term, making us less safe. Restraint is about stopping a person from causing harm. Can harm be caused through restraint? Yes, but there are many scenarios real and hypothetical where refusal to use restraint causes more harm. The less abuse and unmet needs within the community, the less need to focus on sanctions; and the more equality, the more trust throughout society. Between legalizing drugs, having an automated driving system, wiping out absolute and relative deprivation of resources, most crimes would vanish or be minimized. As Jacque Fresco has pointed out, it is much cheaper to give someone an expensive watch than to punish someone for stealing an expensive watch. There would be three significant ways that anti-authoritarian protection would differ from authoritarian rackets such as the police. The rules would be different. For example, right now it is legal to hoard billions of dollars while people starve unnecessarily, while it is illegal to perform many victimless crimes. We need rules that are based on anti-authoritarian principles that lead towards biopsychosocial wellbeing of all (which means no rules that allow private property). The mechanism of enforcement would be different. Rather than using punishment to enforce rules, preventative approaches, communication, restraint, and rehabilitation would be used. There would be no centralization of power (as one of the rules of course). Provide accessible, low-cost means for dispute resolution: This means everything from non-authoritarian therapy, to non-authoritarian communication experts, to restitution, to community panels, group conferencing, to non-authoritarian rehabilitation or restraint of those harming others. With access to the necessities of life and to the means of existence and production, conflicts in society would be minimized. The goal isn’t some perfect circle where there is no exploitative conflict, the goal is to minimize exploitative conflict to the greatest degree possible. This would mean preventative approaches to conflicts which are less resource intensive than constantly patching up conflicts. And when it comes to patching conflicts there are better and worse ways to do so. A lot of symptom suppression is mere symptom aggravation in disguise, such as revenge-based conflict resolution systems. Make sure the rule-making rights of community members are respected by outside authorities. Unless we have a global nonviolent society, outside of the pocket of freedom created by a nonviolent community, there will be socioeconomic hierarchy. This outside authoritarianism needs to be defended against, and there are better and worse ways to do so. And considering that there is gradualism in social evolution before punctuated equilibriums, there will be pockets of non-authoritarian societies before there will be a global non-authoritarian society. As long as such authoritarianism exists, the commons need to be protected by the commoners in order to remain resilient. Build responsibility for managing the common pool resources in nested tiers from the lowest level, up to the entire interconnected system: This implies decentralization of power and confederations as mechanisms for managing common pool resources. Decentralization of power is done for many reasons: It allows for individuals and communities to have decision-making power over decisions that effect them, as well as equality of votes for people within an association. It gives a person or persons the freedom to do what they want without harming the freedom of another person or persons. And at the end of the day, that is the goal of a property system aimed at meeting biopsychosocial wellbeing: Individuals having freedom, within a context of social freedom, in a way that minimizes harm. The more abuse, the more unmet needs, the less trust and the more incentive to harm the commons and, by extension, to harm others. This doesn’t mean there will not be conflict; conflict will be minimized, and dealt with in ways more conducive to the end goal of meeting needs and preferences. Only through a context of decentralized planning and participatory decision-making can varied human desires be taken into consideration. Social ecology is the viewpoint that our ecological problems are social problems in disguise. It is through relating to each other in authoritarian ways that resources are mismanaged. We see this in capitalism where bosses are able to legally extract the surplus value from the workers. We see this in the market where profit is the proxy for resource management. And we see this in the state where power consolidation and the will of the rulers takes precedence over human needs and preferences. From a social ecology viewpoint, management of resources through decentralization of power is the optimum form of power relations for managing the commons, maintaining a thriving biodiverse ecosystem, and meeting human needs and preferences. Scarcity, ecocide, abuse, and unmet needs are protected and enforced by socioeconomic hierarchy. Confederations are free associations of decentralized associations. They would ideally link up to the global level such that we have a global commons and regional commons, made out of interlocked societies based on decentralization of power. They would share with each other to maximize the amount of needs and preferences being met, and with no profit incentive, with no centralized power structures, the ability and incentive to harm the commons would be minimized. Abuse and unmet needs would also be minimized, meaning that there would be less need for conflict resolution. If the common pool resources are managed well enough, people would prefer to not own certain items personally or collectively. This means we would need library-like access centers that are efficient and convenient enough for people to prefer to not own certain things, as well as a general ethic throughout society based on preservation of resources. Personal and collective ownership of certain items would actually be a burden compared to such library-like access centers. Automated mechanical labor would help alleviate freeloader problems that might occur. Sensors and interactive computers based on free software and decentralized planning can take into consideration available resources, available technology, sustainability protocols, and human needs and preferences. Through combining ecological, technological, and anti-authoritarian principles, we can manage resources communally and more effectively than markets and states can. All labor simpler than the complete automation and distribution of an automobile can be automated. The only form of labor that is motivated by economic reward and punishment systems is purely mechanical labor. Labor that involves more than rudimentary cognitive ability are inhibited by economic rewards and punishments. Given that context, we ought to have a needs-based or gift-based economic system. The private ownership of the means of production, like any other form of centralization of power, ensures that decision-making power is not distributed proportionate to those affected by decisions, which violates our psychosocial needs for non-authoritarian relations. State ownership of property has the exact same organizational problem. Landlordism allows for people to make money off of owning that which other people need to use. Personal property allows for persons to own that which they use without harming others. Anti-authoritarian collective property allows collectives the same right. And through the use of liberatory technology, rules without rulers, authorities without authoritarianism, sanctions without punishment, and federations without centralization of power, the commoners can manage the commons.